Plastic bottles and bags, medical waste and general detritus. 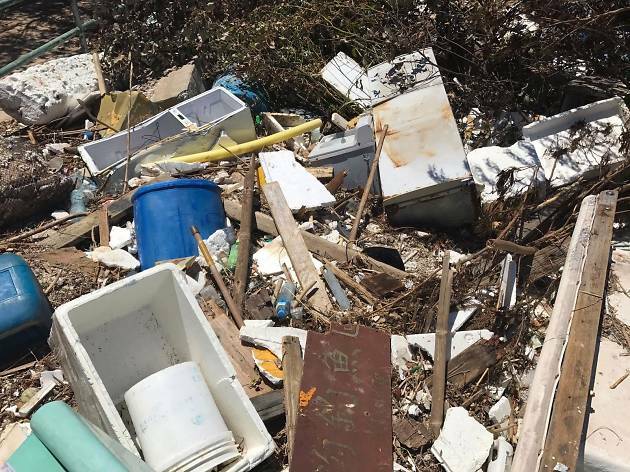 These aren't words you would generally associate with beaches but unfortunately that's what we've got – in frightening quantities – clogging up our beaches in Hong Kong. And this makes us sad. Thankfully, though, our city is full of amazing people who actively combat this blight on our beaches. So, on Sunday January 21, Time Out Hong Kong is joining forces with local volunteer group The First Penguins in our first-ever beach clean. And of course, we want you to come hang with us for some good-spirited cleaning! Our target – despite the militaristic jargon, we promise it'll be fun – is Sok Kwu Wan on Lamma Island where we'll be giving two beaches a makeover. We'll be hitting it up from 11.30am to 4.30pm, and we want you to join us. Click here for more details and to register! Not convinced? Have a look below at the breadth of the problem facing our beaches. 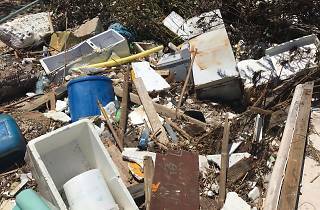 These are 13 shocking photos – all taken last year by beach clean volunteers – that highlight all that trash on our sands across the SAR. Inspired to do something about it? Hopefully we'll see you on January 21! See why it's needing a clean, badly? We're coming for you, trash. We know where you live, trash.